Gesture-based inputs are more intuitive and user friendly than touch and remote-controlled interactions. We have seen this in gaming consoles such as Sony’s PlayStation, Microsoft’s Xbox and even some smart TVs. However, the entire concept is yet to make major inroads in day-to-day life. Research ( read here) shows that gestures can also help people with disabilities, because touchscreens and keypads cannot recreate natural hand movements. But, things may be changing. 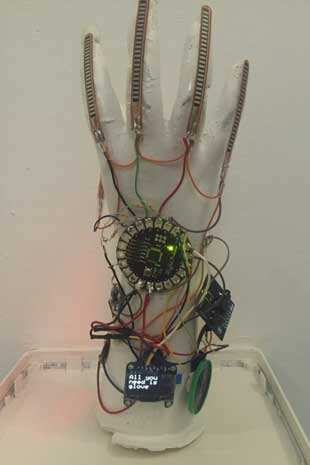 A University of London student, Hadeel Ayoub, has built a wireless glove, called Sign Language Glove. It can translate sign language into text and words. 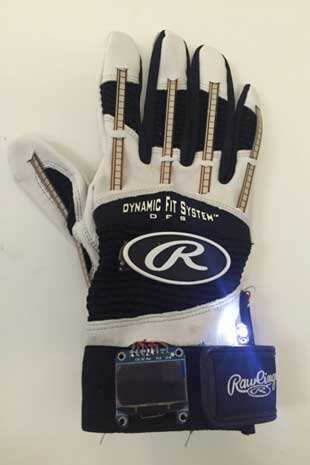 The prototype glove uses five flex sensors for each finger, an accelerometer to detect the orientation of the hand, an Arduino microcontroller (an open source prototyping platform used in the development of thermostats, robots and motion detectors), and a 4-digit LED display to show text. An external battery was added to power up the board and the LED screen and a speaker to enable conversion of text to speech. The output voice could be set to female, male or child, allowing greater customization for users. It currently supports English and Spanish as voice output options but more languages will eventually be added. Though a wearable, the technology is unlikely to see the same amount of traction that a smart watch or a smart band gets, simply because it is meant for a very specific demographic of users. The Glove is perhaps not an article of everyday use, or for casual wearing. Its adoption is likely to be limited for creative tasks as well as in medicine, with patients using them for rehabilitation or as a way to overcome a disability—the visual and speech impaired are the most likely to benefit. The developer is also working on a smaller prototype of the same wearable that will be meant for children. Ayoub has been approached by several companies that want to mass produce the device and put it in the market. The fourth prototype, named Reach All, will reportedly be priced at £255, and Ayoub hopes schools, companies and hospitals will purchase the device in large numbers.